Film Society of Lincoln Center screens Jesus Christ Superstar as part of Norman Jewison: Relentless Renegade, a career retrospective (May 25—30). Man, Norman Jewison is it. If you love American films from the 60s and 70s (and you do), then you know and love Jewison. 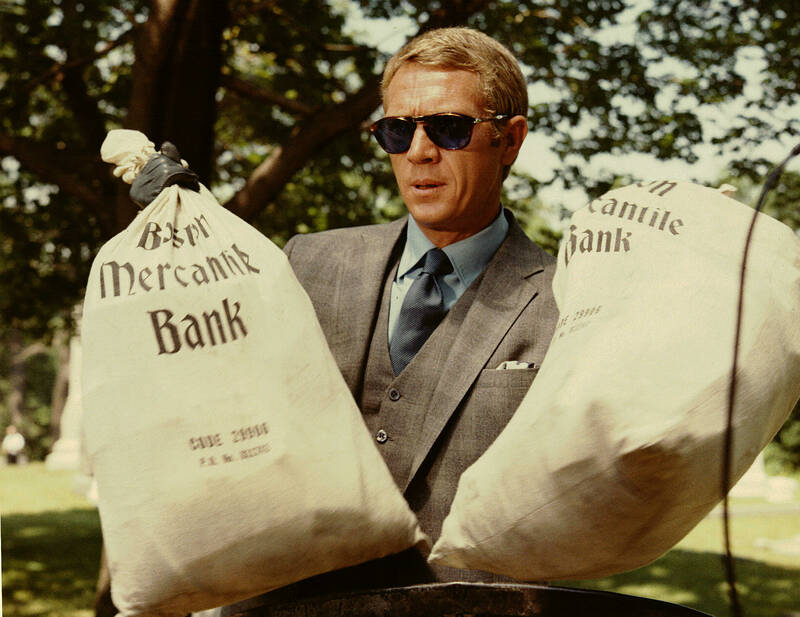 It begins roughly with “The Cincinatti Kid” with Steve McQueen though, personally I think it begins right after”The Russians Are Coming, The Russians Are Coming” with “In The Heat of the Night” with the screen commanded Sidney Poitier as Virgil Tibbs. The studded supporting cast includes Rod Steiger, Lee Grant and Warren Oates. I recently attended the press screening of the new British comedy “Submarine” directed by first-time feature filmmaker, Richard Ayoade. Ayoade [pronounced ah-you-ah-day], whom I interviewed earlier today and who puts deprecating back in the term self-deprecating, has a background in television as well as music videos. In fact, his work directing The Arctic Monkeys in some videos & a live concert film for Warp Films helped him secure “Submarine” since Warp produced the film. 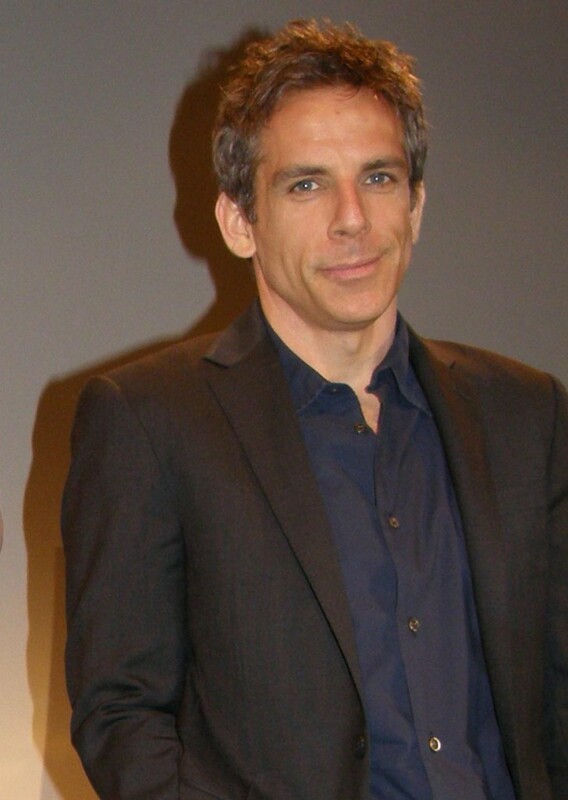 Getting the film properly exposed to a wide audience has not been a problem in the U.S. Not only did The Weinstein Company buy the movie but Ben Stiller is its Executive Producer. After an amazing string of successes playing Mikael Blomkvist in all 3 film adaptations of Stieg Larsson’s Millenium Trilogy, actor Michael Nyqvist finally has an opportunity to show some of his other work to a broader audience. One such film, “Suddenly”, is playing in Eurocinema’s First Annual Scandinavian On Demand Film Festival, currently available. Michael Nyqvist: Wonderful. Right now in Stockholm we’re in the peak of beautiful weather. But between March and November, it gets pretty tough. filmwax: This is one possible explanation of the history of such artists as Bergman, Strindberg, Ibsen, etc. I was recently talking to Lena Endre [co-star of “The Millennium Trilogy”) about her film, “Limbo”, which is part of Eurocinema’s First Annual Scandinavian On Demand Film Festival. You’re in another one of the films, “Suddenly”. filmwax: And you made “Suddenly” before “The Millennium Trilogy”, correct? Nyqvist: Like four years ago or something. It’s a work I’m pretty proud of. The producer, director and I worked very close together. We did another film after that called “Among Us”, and we plan to another film soon. “Suddenly” is about sorrow and it’s a very Swedish film. You can see the tracks from Bergman in it. It’s traditional in that way. The environment of the story is like a Bergman film. It’s a fantastic island. It’s middle class. Everyone is supposed to be very happy and things are supposed to be very good, but it isn’t. filmwax: Did you know when you were making “Suddenly” that your next production would be such a block buster, relatively speaking. Nyqvist: I had no idea about that. I hadn’t read Stieg’s books. I’m a bit of a snob in what I read. Stuck with my James Joyce or something like that. No, I had no idea about that. “Suddenly” is more representative of the type of film I normally do. filmwax: When you read the script, did the similarities of your life strike you? You have two children as well. 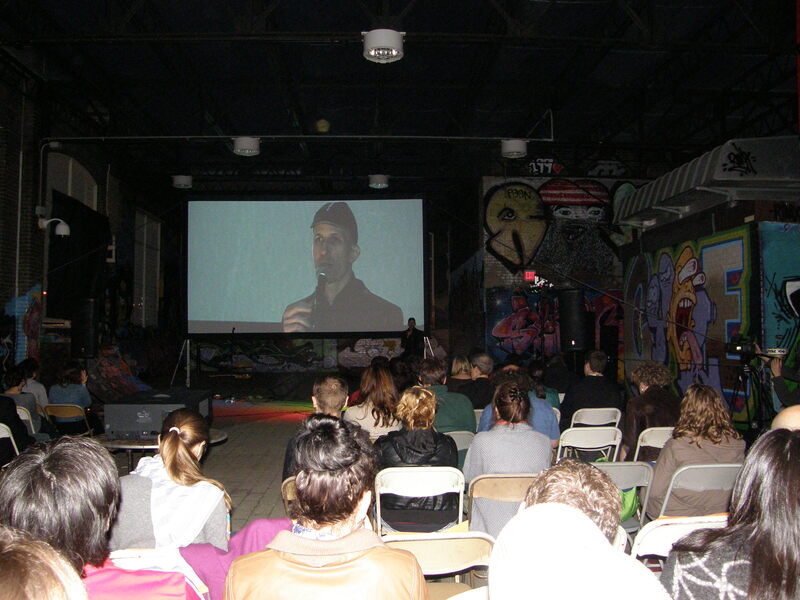 Every season Rooftop Films starts off with an evening of shorts. Last night, the opening of the 15th season, was no different. An enthusiastic film-loving crowd filled up mostly every folding chair on what’s called the Open Road Rooftop above New Design High School in the L.E.S. The slate of short films –dubbed This is What We Mean by Short Films— defied genres as described by Rooftop Founder and Artistic Director Mark Elijah Rosenberg aptly described them. Among the evening’s slate of 9 shorts films a few of the stand outs included Olivier Treiner’s “The Piano Tuner” where a performance shy pianist fakes blindness and takes up tuning pianos to his misfortune; artist Blu’s “Big Bang Big Boom” is another result of one of the most innovative animators working today; Carter Smith’s “Yearbook” is a creepy retro tale of a high school’s STD epidemic gone horribly awry; and Brooklyn’s own Emily Carmichael’s “Ledo and Ix Battle Monsters” a pixel-tastic animated piece which was supported by the Rooftop Filmmakers’ Fund. The evening got rolling with a musical performance by instrumentalist Dustin Wong with his uniquely contagious trippy guitar loops. Despite the pyrotechnics, his music is undeniably contagious. It was a great way to get the outdoor festival vibe going. By the time anyone reads this blog post, the second night will have already concluded with the screening of Zachary Raines’ “Freeloader”. The series sports some 45 evenings through the crux of the summer. The series continues to expand as evidenced by the opening night being presented by Rooftop Films, IFC and New York Magazine. What hasn’t decreased is this series’ commitment to unconventional films in non-traditional venues. The full summer schedule may be found here. The late Hal Ashby is receiving some long overdue lauding this month with BAM’s career spanning retrospective. Along side the usual suspects (“Harold & Maude” and “Coming Home”) are some lesser known gems like the one I watched (with slack jaw) last night, “The Landlord”. That movie, starring a young Beau Bridges, Lee Grant, Pearl Bailey and Lou Gosset was Mr. Ashby’s first. The story, written by Bill Gunn, takes place in the late 60s when people of color actually wore dashikis and Park Slope’s was considered a slum. But make no mistake, “The Landlord”, produced by Ashby’s buddy Norman Jewison, is a comedy with many many laughs. In fact during one scene, an extended sequence with Lee Grant and Pearly Bailey, the audience at BAM was laughing as hard as I’ve heard an audience laugh in years. I’ve probably seen all the Judd Apatow movies on DVD so I can’s speak for those audiences but the one I sat with was enjoying one of the great forgotten comedies ever committed to celluloid. What’s so wonderful is that like so many great comedies, be it Ashby or Chaplin or Mel Brooks, the political message is made far more successfully when not wrapped up didactically. The evening’s screening was introduced by Ashby biographer, Nick Dawson, a young man who comes from Scotland but currently calls Fort Greene his home. 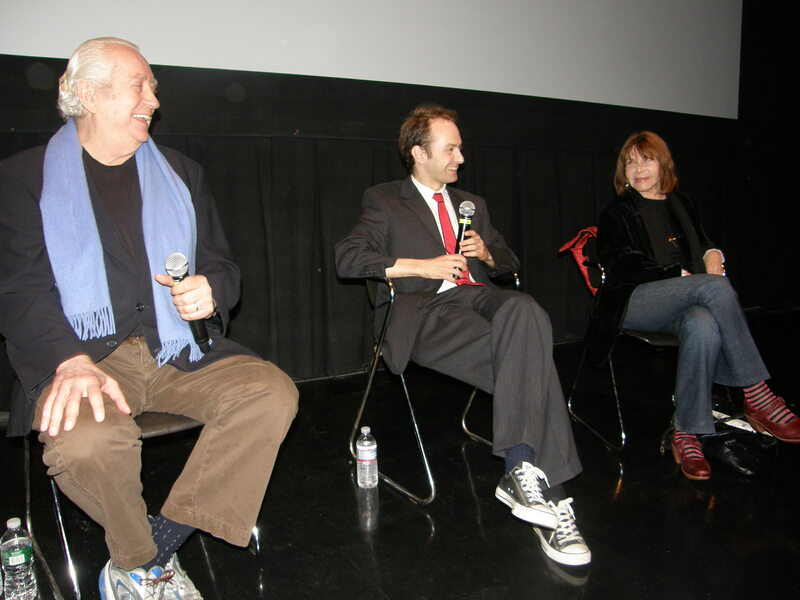 Nick followed the screening by moderating a fascinating panel with guests Robert Downey, Sr. and Lee Grant (perhaps the only living star from the film who lives on the East Coast). Downey, a seminal director in his own right, was good friends with the feted director and spoke with great affection of Ashby’s ceaseless support. 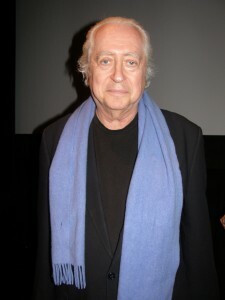 Ashby has been criticized about pilfering away his talent with in indulgences but the panelists defended his work ethic. It wasn’t Ashby who changed but the studio system which stopped being courageous and no longer hired artists like Ashby, thinking he was too risky, too difficult to categorize. And it’s true, of course; Ashby was certainly an unorthodox filmmaker. Like Downey, Altman and Cassavettes were feircely independent spirits. The studio heads of the 1980’s were much less interested in those icons even though all three actually did some of their best work in that decade. BAM’s Ashby retrospective continues into this next week right up to the point where The Film Society of Lincoln Center‘s begins their Norman Jewison retrospective. In addition to more panel appearances by Lee Grant (she starred in “The Heat of The Night” which was edited by none other than Hal Ashby), Mr. Jewison will be appearing at several screenings. It should also be mentioned that the great Gordon Willis was the cinematographer on “The Landlord” and that it was produced by Walter Mirisch who also produced “In The Heat of The Night”. Still coming up in the BAM series: tonight 5/14 @ 6:30 & 9:30 “Bound for Glory”; Sunday @ 3, 6 & 9 “Being There”; Monday at 4:30, 6:50, 9:15 “The Slugger’s Wife”; Tuesday @ 4:30, 6:50, 9:15 “8 Million Ways to Die”; Wednesday @ 4:30, 6:50 & 9:15 “In The Heat of the Night”; Thursday @ 4:30, 7 & 9:50 “Coming Home”; Monday, 5/23 @ 6:50 & 9:15 “The Cincinnati Kid”; Tuesday 5/24 @ 6:50 & 9:15 “The Last Detail”. The Tribeca Film Festival has reached a milestone this year with its 10th anniversary. The festival, founded by Robert De Niro, Jane Rosenthal, and Craig Hatkoff in the spring of 2002, was created in response to the 9/11 attacks on the World Trade Center and the subsequent financial devastation to downtown Manhattan. Since those early days, the film festival has grown exponentially, having shown over 1,100 films from some 80 countries over the last 10 seasons. Additionally, Tribeca is distributing its own films through its Tribeca Films venture showing those films at the festival, on demand, and online. Like the Sundance Film Festival, Tribeca also has programs to foster young filmmakers, providing financing and mentoring through its Tribeca Film Institute. The festival has not been without its critics. Its programmers have been criticized for spreading the festival too thin, stuffing the calendar with scads of films and diluting any sense of unique character in the process. While it is true that navigating the sheer volume of films can be a daunting task, there are strong signs that a unique festival might be emerging. It’s no longer the leftovers from Cannes and Sundance but the result of year-round searching for top-quality narratives, documentaries, and short-form films. 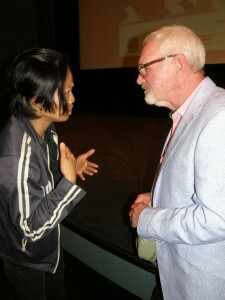 BAMcinématek announced its full slate for the 2011 season of Cinemafest (June 16-26) last week. 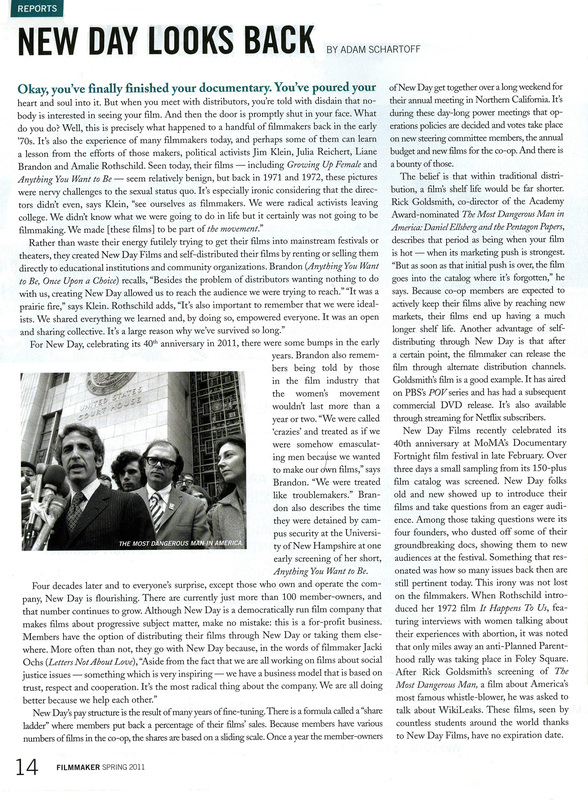 With Cinemafest, BAM is emerging as a major New York area destination for showcasing the best of independent film. Among the lineup this year, which primarily focuses on American indies but with a few international films and a reparatory classic thrown in for good measure, are 19 New York premieres and 1 U.S. premiere. “Not only has Brooklyn become a premiere venue for showcasing important works of global cinema, it’s home to an active new wave of filmmakers,” BAMcinématek’s Program Director Florence Almonzini recently remarked. Indeed, this year’s lineup reflects that commitment by including such New York filmmakers’ works as Azazel Jacobs’ Terri, Alex Ross Perry’s The Color Wheel, Michael Tully’s Septien and Sophia Takal’s Green, to name just a few.